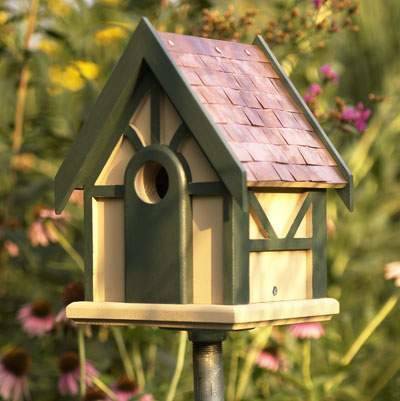 Recycling wood logs , thick branches and salvaged wood pieces for birdhouses helps create more attractive, bird-friendly and pleasant backyards. 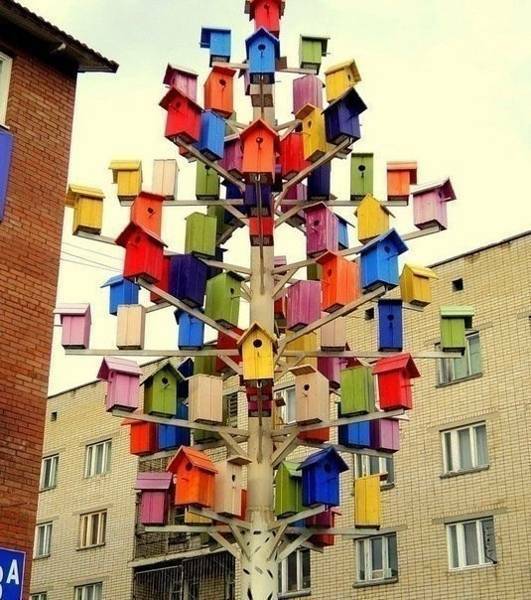 Birds are enjoyable creatures. 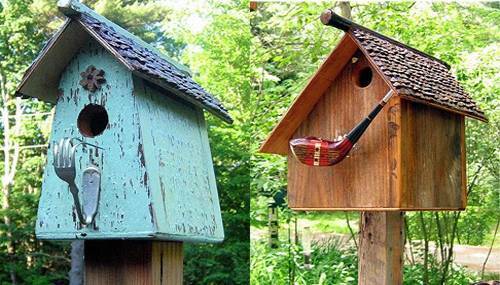 Comfortable, made of wood birdhouses attract birds and create a welcoming natural environment around houses, allowing people to listen to and watch birds. 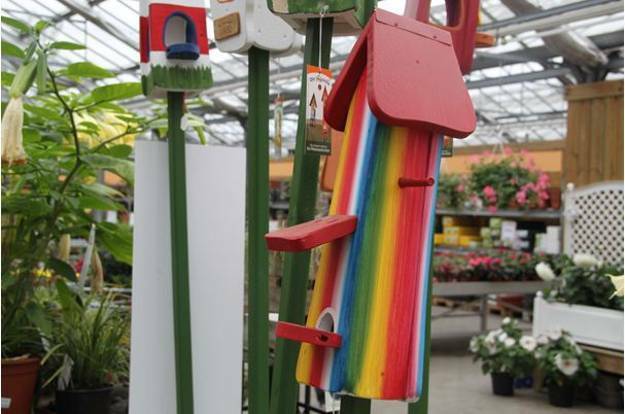 Also birdhouses make great yard decorations, encouraging kids and adults to reuse and recycle wood. 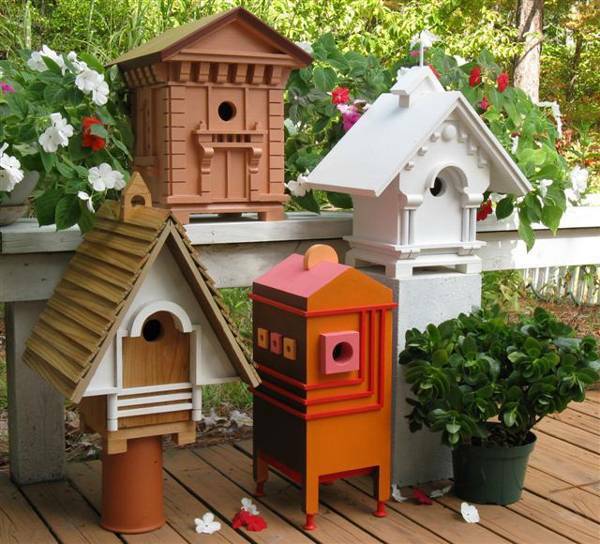 Lushome collection of birdhouses, created with salvaged wood, gives lots of inspirations for DIY projects and recycled crafts for kids and adults and shows how to reuse and recycle wood for these wonderful yard decorations. 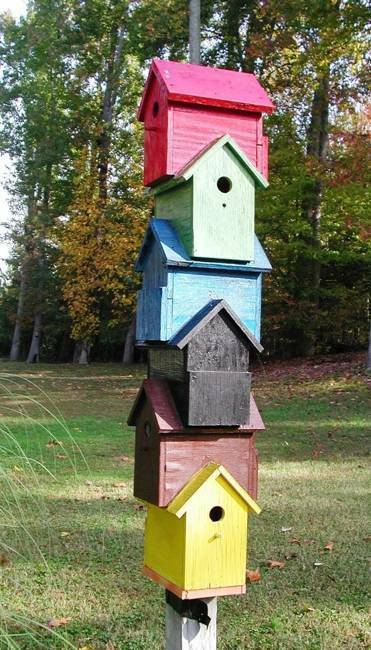 Handmade wooden birdhouses are eco friendly and simple backyard ideas that add more fun to yard landscaping and bring unique accents into outdoor living spaces. 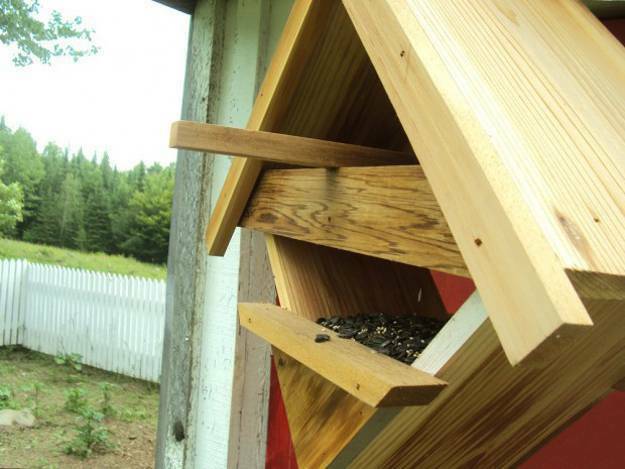 A properly built wood birdhouse lasts for many seasons, inviting birds into our life. 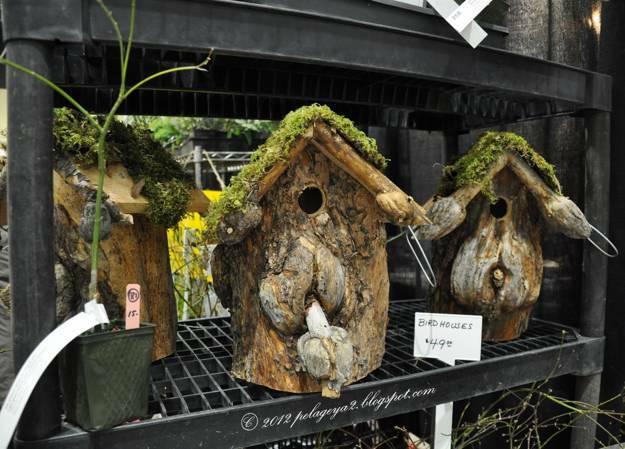 Making wooden birdhouses and attracting birds to your yard is not as difficult as it may seems. you might think. 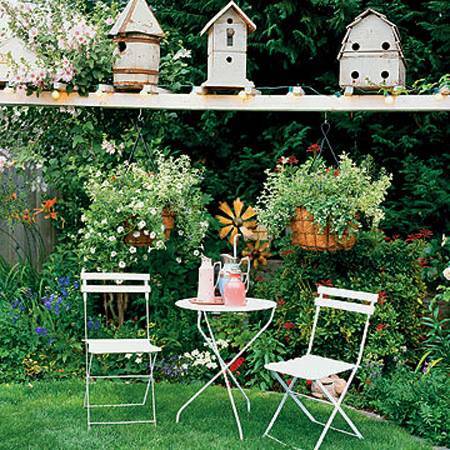 Birds delight with their beauty and melodies that they create. 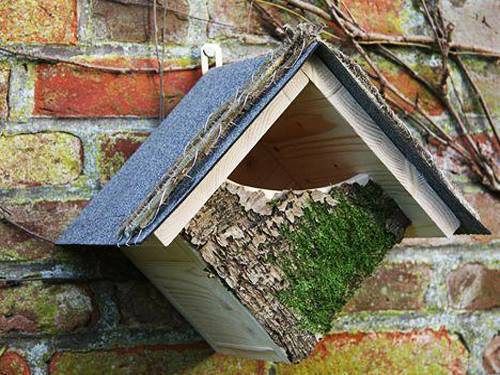 Birds makes us kinder and help eliminate slugs, spiders and mosquitoes. 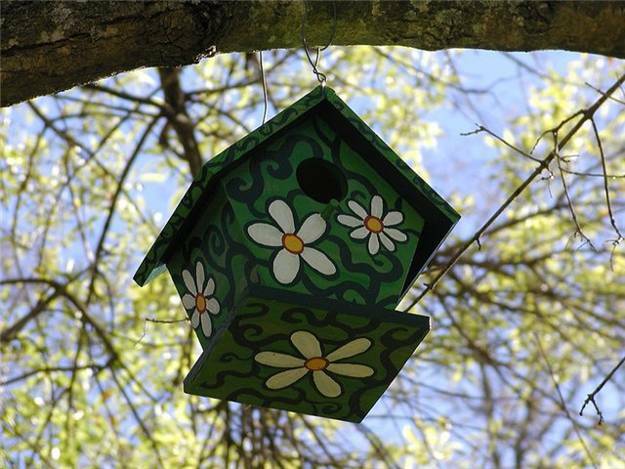 Birds love to live in wood birdhouses, so making these yard decorations and recycling salvaged wood attract birds to our yard. 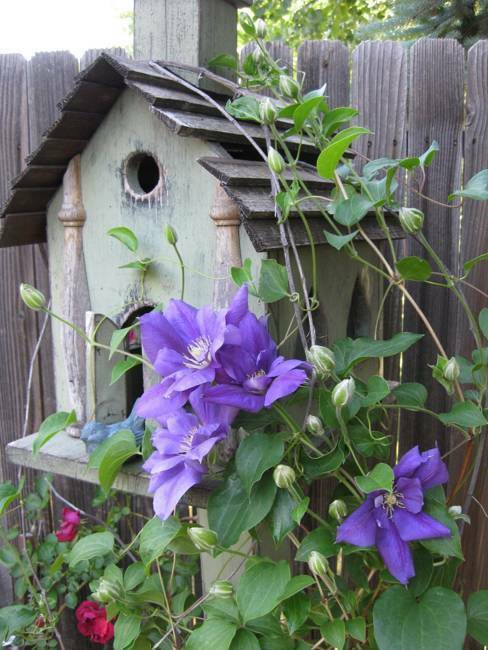 Reclaimed wood from old barns, garden sheds, fences, and salvaged wood pieces you have at home can create beautiful and comfortable for birds houses. 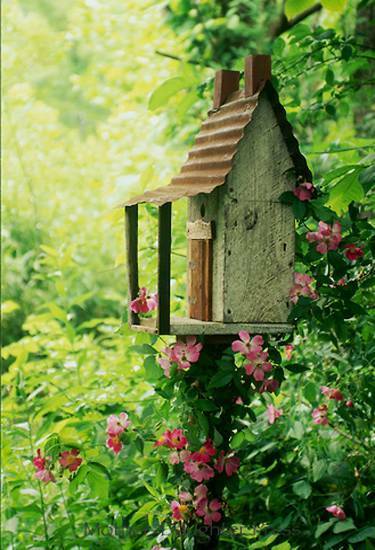 Old floor planks, boards and trims that clutter your home are treasures that allow to create simple and charming rustic birdhouse designs. 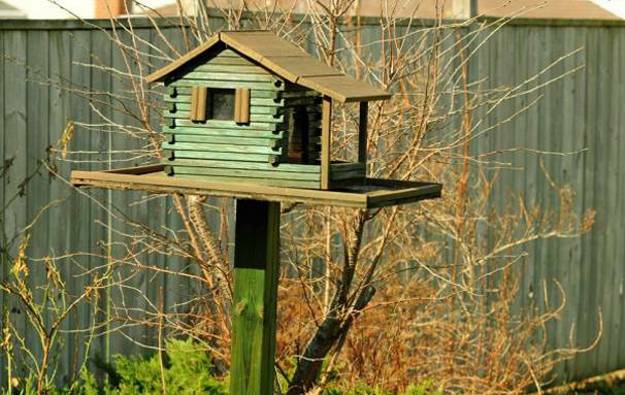 Antique lumber is prized by architects, craftsmen and builders, and is and excellent material for recycled crafts and home decorating projects. 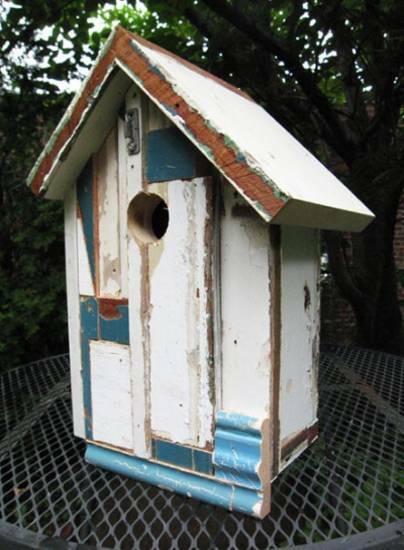 What is left can be used for making wooden birdhouses and bird feeders. 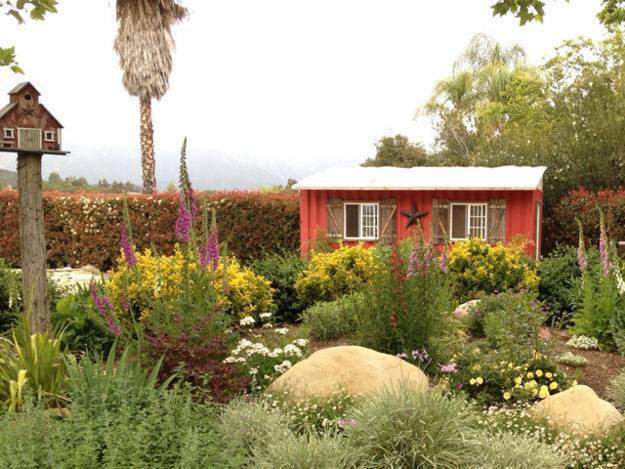 Vintage wood pieces are meaningful, representing trees that were growing on the land years ago. 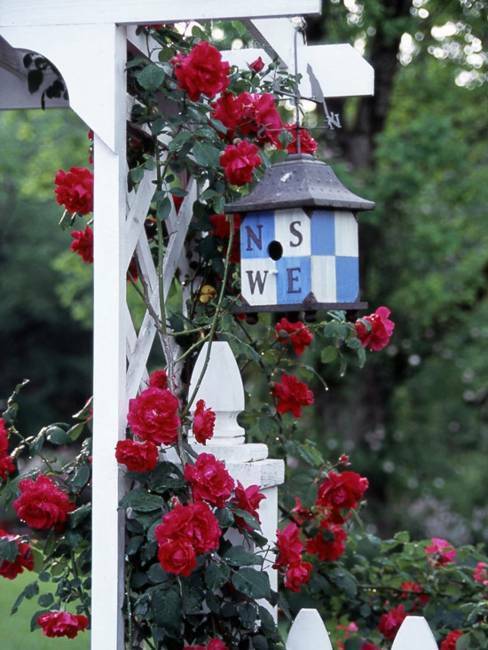 Rustic wood pieces look beautiful, adding unique charm of vintage style to backyard ideas and yard decorations, including wooden birdhouses. 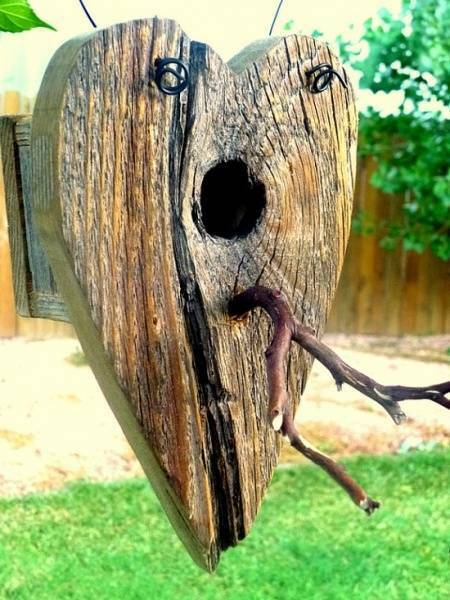 A homemade bird house recycling salvaged wood or thick tree branches and logs is a welcome addition to beautiful and eco friendly backyard ideas. 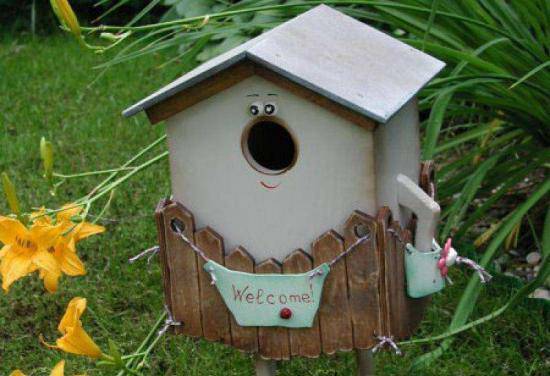 Birds love to have a house of their own, feel cozy, safe and warm, and peep out the hole at the outside world. 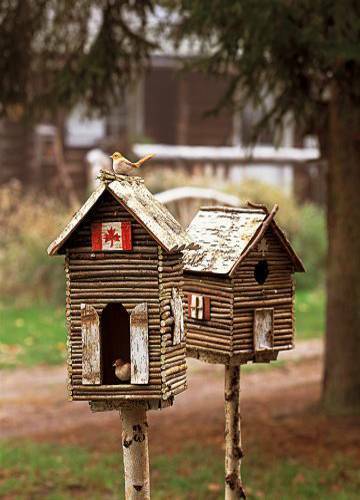 To get a bird family to settle in your new wood birdhouse is to give seeds for the birds to find. 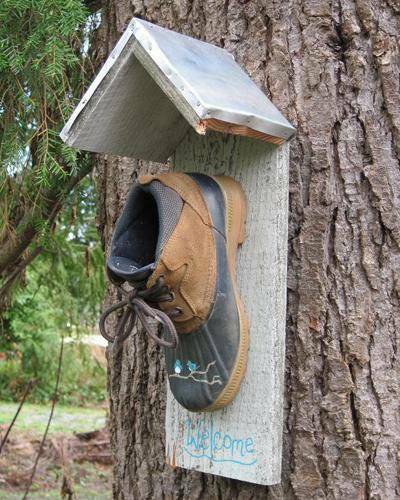 A wooden birdhouse provides a nice shelter for birds during inclement weather, and allows to reuse and recycle salvaged wood pieces for backyard decorating.